Posted on March 25, 2019 at 6:45 pm. The undersigned strenuously oppose HB1299, a measure that would preempt locally-elected Florida office holders from raising the minimum legal tobacco sales age or enacting local licensure for tobacco and nicotine products. This unwelcome, top-down proposal would remove the ability of local governments to protect the health and safety of their constituents, especially children. HB1299 is especially egregious in light of the Juul e-cigarette addiction epidemic that has swept through Florida’s adolescent population – with estimates that a quarter of underage teens use these slick devices. A single Juul pod delivers highly-addictive nicotine equivalent to a pack of cigarettes. Many public health policy interventions such as Tobacco 21 begin at the local level. As of today, over 450 localities in 25 states, including Florida, have enacted these common-sense regulations. Alachua County recently demonstrated its health leadership by passing the first Tobacco 21 policy in the state. 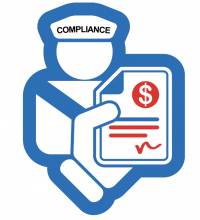 The effectiveness of the policy is dependent on local enforcement and a local license. As a result of Alachua’s leadership, several other Florida municipalities are considering the measure. Both state and local elected officials have the responsibility to act on urgent matters of public health and safety like that of the adolescent e-cigarette epidemic. Good health policy must be evidence-based, have public support and, above all, not be set by tobacco industry lobbyists in backrooms of the statehouse. We urge that HB1299 be rejected. Posted on February 28, 2019 at 5:26 pm. 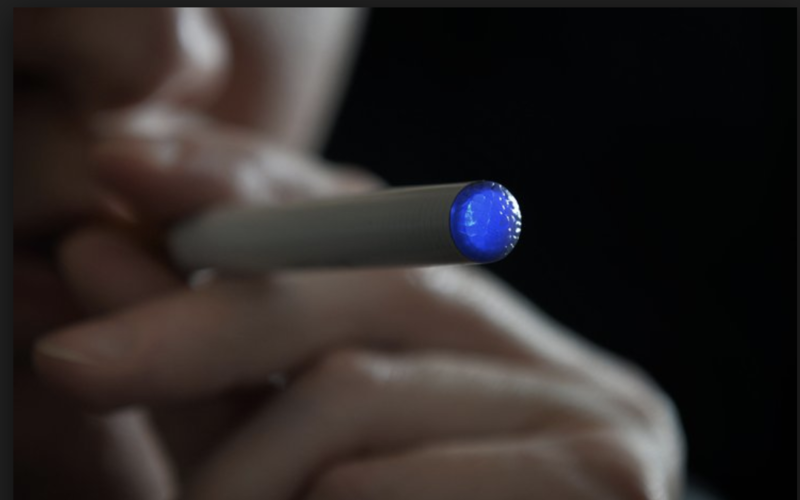 SALT LAKE CITY — A bill to incrementally raise the age for tobacco products, including electronic cigarettes, to 21 passed through the Utah Legislature Wednesday with a 15-12 vote in the Senate and a 55-16 concurrence vote in the House. Arguments around this bill has centered on the debate of preemption, with cancer advocates speaking against an early version of the bill. The bill that passed made only one amendment to preemption language in current code, adding the minimum age of sale to what cannot be modified by cities and counties. 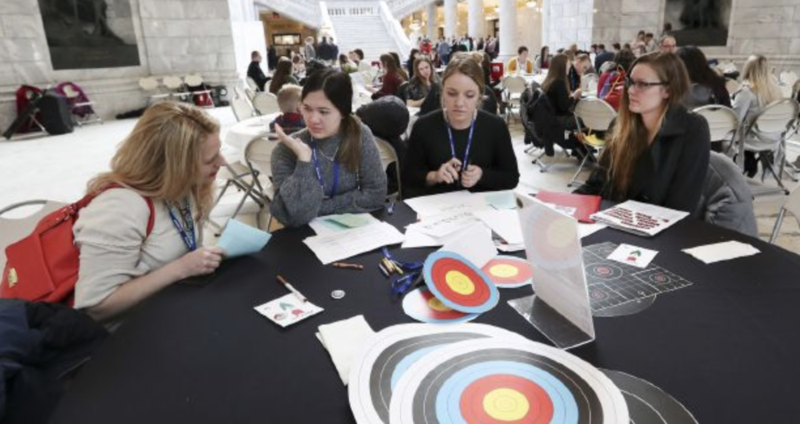 Sen. Curt Bramble, R-Provo, the Senate sponsor of the bill, said this compromise would allow cities that have already raised the age for sale of tobacco, including Lehi and Cedar Hills, to keep the age at 21 instead of following the incremental age increase in the state. She said addiction should not be shamed or criminalized, especially for youth. If youth get in trouble while they are building who they are as a person, they could define themselves as thugs or criminals. “This is not about smokers, this is about protecting youth from having access to these addictive materials that the tobacco industry is pushing,” Tischler said. According to Tischler, 800 youth in Utah each year become daily smokers, and vaping is especially a problem for youth because they have more access to it and it’s easier to hide from parents. Jordan Osborne was part of an anti-tobacco youth group in Utah County and helped change laws to make parks tobacco free. But when he was 18, a friend a few years older bought him a vape pen and he became a smoker. He still vapes and occasionally smokes cigarettes. He said he doesn’t feel like he is addicted, but he gets aggravated when he hasn’t smoked. “If they had the smoking age at 21 back then it would have made it even harder for me to even get (tobacco),” Osborne said. He said if he had never started using tobacco he would be a lot healthier and wouldn’t have to have something to help him relax. Cedar Hills and Lehi both passed ordinances in the last few weeks raising the age to buy tobacco to 21. But opponents to HB324 say language in the bill could stop other cities from making changes to local tobacco laws. Posted on February 14, 2019 at 6:28 pm. When electronic cigarettes first came on the market, we hoped they might help reduce the tremendous harm caused by tobacco cigarettes. If smokers inhaled a vapor containing nicotine, flavorings and other additives rather than the multitude of cancer-causing chemicals in tobacco smoke, there might be some benefit. While some adults have used e-cigarettes to wean themselves from tobacco, research indicates that e-cigarettes are really just another nicotine delivery device with its own unique hazards that addict users to nicotine. This is especially concerning for teens and young adults who are using e-cigarettes with alarming frequency. One recent study did suggest that e-cigarettes helped adults stop smoking. However, those who quit tobacco continued to consume e-cigarettes and nicotine a year later. More common appears to be the experience of smokers studied by Dr. Russell Bowler, a professor of medicine at National Jewish Health. He found that most of the tobacco smokers who started using e-cigarettes in hopes of quitting tobacco continued to smoke tobacco at similar or higher levels five years later. Former smokers who began using e-cigarettes were more than 16 times as likely to resume tobacco smoking. Additional research at National Jewish Health has shown that, while less harmful than tobacco smoke, e-cigarette vapor itself is harmful. It injures cells lining the airways and blood vessels in the lungs, and increases susceptibility to respiratory viruses. E-cigarette use, or vaping, by teens and young adults is especially worrisome. After decades of decline, the consumption of tobacco products has taken a U-turn and begun a precipitous climb. Vaping among middle and high school students increased 900 percent from 2011 to 2015 and nearly doubled in just the last year. Today, one in 20 middle schoolers and one in five high school students use e-cigarettes. College students and young adults vape at similar or even greater rates. Research has shown that youth who try an e-cigarette are more likely to begin smoking tobacco. The Surgeon General and the Food and Drug Administration have both called e-cigarette use by teens and young adults a serious public health threat. Nicotine in e-cigarettes poses unique threats to young users’ health. Adolescence is an important period of brain development when learning capacity, decision making, working memory, reward processing and emotional regulation all grow and mature. Nicotine use during adolescence profoundly alters this process, priming the brain for future addictions and increasing the risk of mood disorders, intellectual problems and impulsiveness. E-cigarettes have become immensely popular, fueled by flavors and marketing targeted at young people. Peer pressure to vape is bearing down on those who don’t. Many don’t even realize they are vaping nicotine and mistakenly believe they are inhaling simple water vapor. Teenage brains are especially susceptible to nicotine’s addictive and rewarding effects, yet many fail to recognize the threat e-cigarettes pose to long-term mental and physical health. After decades of fighting to reduce harm from tobacco, it is astounding that a new generation faces a renewed threat from tobacco. We must help young people avoid nicotine and quit e-cigarettes. Teens can call the Colorado QuitLine (1-800-QUIT-NOW), which recently lowered the age of eligibility for services to 12. As the operator of the Colorado and many other state quitlines for 17 years, National Jewish Health has extensive experience treating nicotine addiction with personalized plans to avoid nicotine, navigate peer pressure and manage nicotine withdrawal. At the same time, the FDA must tighten regulation of e-cigarettes and follow through on promises to close down manufacturers who don’t meaningfully limit youth access to e-cigarettes. JUUL, the dominant company in the market, must follow through on its action plan to cease marketing to youth and limit their access to its products. We urge Colorado legislators to pass the recently introduced bill to raise the age for legal purchase of e-cigarettes. Together, we can protect our youth from the dangers of e-cigarettes and vaping. Dr. Michael Salem is president and CEO of National Jewish Health. Thomas Ylioja, PhD, is an assistant professor of medicine and clinical director of health initiatives at National Jewish Health. Posted on January 11, 2019 at 1:52 pm. 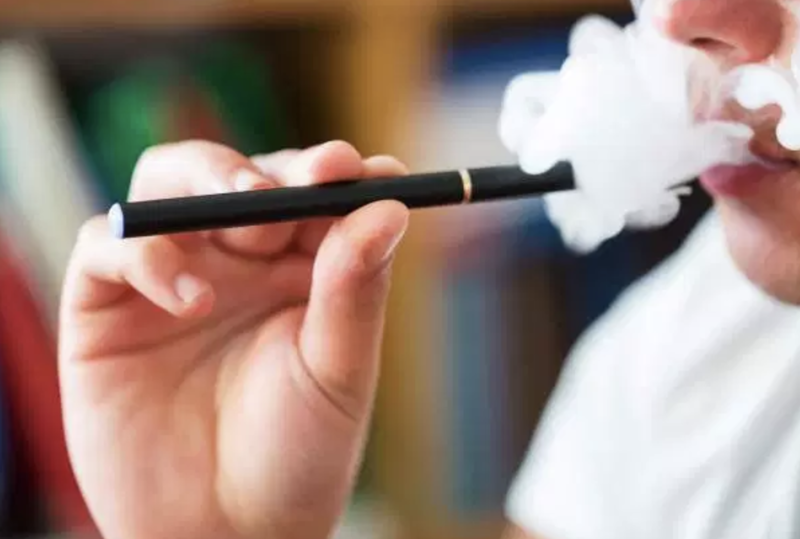 “The latest Florida Youth Tobacco Survey, which tracks indicators of tobacco use and exposure to secondhand smoke among middle and high school students, shows that one in four high school students currently use electronic vaping. Florida is significantly above the national average. Legislators in Florida (state and local) have done nothing to stop the vaping epidemic, but they can do many things. For example, the state legislature can define electronic nicotine delivery systems (ENDS), which includes electronic cigarettes, as tobacco. Currently, vape shops in Florida are unregulated and do not require a license to sell ENDS. Requiring vape shops to have licenses to operate and taxing ENDS as cigarettes are taxed will be more popular than raising property taxes.